Here at Who What Wear UK, we think that March is all about change, so we're celebrating all kinds of changemakers—whether that's the women leading the charge in a flawed industry or simply the items that will make a huge impact on your style. We asked some of the most stylish women we know to share the one piece they are investing in this season with the hope that it'll be one of those purchases that instantly refreshes their wardrobe. Keep scrolling to shop the items that the coolest girls are into this season. 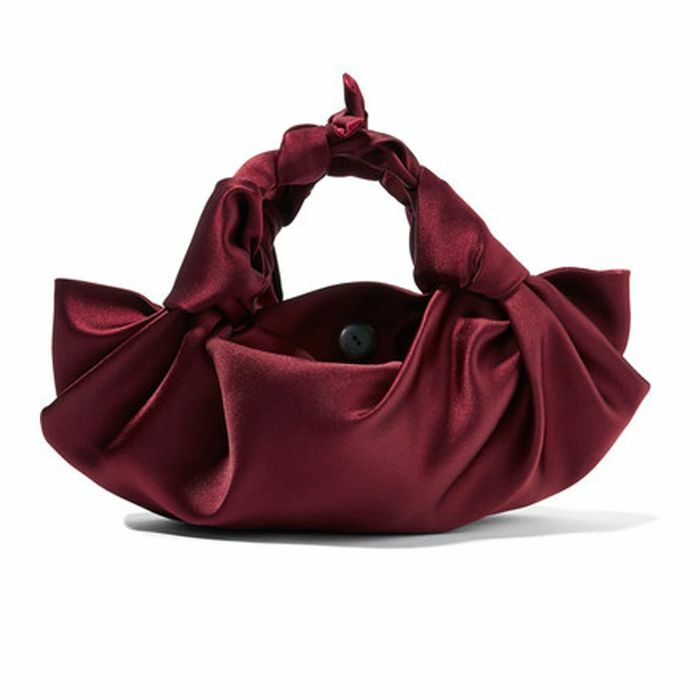 Influencer Monikh Dale says: 'I'm dying for The Row's small burgundy satin bag. It's tiny and I'm so into small bags this season. Plus it's totally luxe and unnecessary. The chic piece to class up my jeans and white tee look." "I really want a great pair of kitten heels I can wear with everything, everywhere!" says Who What Wear UK Editorial Director Hannah Almassi. "I'm not a flats person, but I'm not a high-heels person either, so this is the perfect opportunity for me to stock up while they're popular and available everywhere. Investment-wise, it has to be either Prada or Fendi—I like all of the extra detailing and sporty finish so they don't feel too prim. And on a budget, I'd recommend any of the Scandi brands like Monki/H&M/Stories, as they just seem to get this heel height so right." "I have been lusting after the Dodo Bar Or summer dresses since I saw them at the end of last year," says influencer Erica Davies. "To me, they are fun and sunshine in frock-form, and they will give my holiday wardrobe the biggest lift." "I know straight away my one piece because I'm saving up for it because I love it so much," says Florrie Thomas from And Finally. "It's the Miu Miu picnic bag, probably in tan, but I can't decide between tan, white and black. The reason I love it is it feels very vintage Miu Miu with the bag logo and classic Miu Miu quilting and is also a hybrid on the basket bag, which I feel like I've seen so many of I've got slight basket fatigue!" "I'm investing in brights this season—specifically, bright yellow and pink pumps," says Anna Vitiello from And Finally. "The colour brings a high-fashion element to any outfit and works even better teamed with matching accessories (yes, matchy is back). I'll wear them to dress up denim or to add a contemporary twist to tailoring." "The one piece I'm into this season is hair scarves," says Maria Bernad. "I'm going to wear this trend all summer when going to the beach." "The tiger-printed velvet coat from S/S 18 Aloha from Hell collection of SSS World Corp," says Betty Bachz. "It's just epic! I love feminine menswear, and I love my coats to be bold and loud, with a '70s touch." Influencer Bettina Looney says of her one game-changing product: "I'm from a small country town in Florida called Ocala, and it is actually the horse capital of the world. Cowboy boots are a little reminder of home."